We provide Estate Planning, Probate and Trust Administration Services. We are dedicated to helping people with their Estate Planning needs. Realizing you need an attorney, no matter what the circumstances, can be daunting and stressful. The emotions, procedures and legal jargon can leave you frustrated and confused. Finding an attorney you can trust and with whom you feel comfortable confiding in is essential. You must feel the attorney is knowledgeable, competent, and able to listen to your concerns about how your issues may be resolved. The attorneys at Lewman Law, APC, are recognized for their ability to listen to their clients and accurately understand their issues. They will obtain and provide answers to your questions and provide you with available options and sound legal advice. From informal, out-of-court solutions, to formal, in-court litigation, you will be supported with quality representation for your legal issues. Professional representation makes a difference in easing your apprehensions and fears. John F. Lewman, Attorney at Law, with his reassuring demeanor, will listen intently to ease your burdens, answer your questions, present your options, and offer sage advice. If your situation requires representation, John will counsel you on the best possible way to move forward. We do predominantly fixed fee services but some services can be offered at an hourly rate. Crafting an estate plan or trust, which protects assets, is best completed before a watershed moment occurs. Having this done beforehand ensures that when an emergency does happen legal, healthcare and business decisions are prepared and ready to act upon. If not prepared for, life's alterations will incur heavier costs and possibly result in losing control of your loved one's vital life, financial and private resolves. The team at Lewman Law first acquaints themselves with their clients, and their loved ones. Fashioning each estate plan around their clients and their individual needs, is one of the many services that John Lewman Law does well. Clients can rest assured that their trust plan will be concise and that they, their family members, and all involved, will be treated with dignity, and the highest respect. Working to explain each plan, what it entails, and how loved ones can be helped is vital. Developing a relationship between attorney, and executor is important for a variety of reasons: With a mix of financial, legal, and healthcare, and tax concerns involved, guiding clients so that they thoroughly understand how to make those all-important decisions down-the-road creates effortless disposition when the time arises. Lewman Law also navigates to explain legal terminology, so that all clients understand each step of the way. Emotions run high and are elicited when the death of a loved one occurs. Disputes often happen as the result of and from contents of a trust or will. The team at Lewman Law encourages an amenable way to settle a dispute and refers to the courts to handle such disputes when no other way is found. John Lewman works with clients to find a swift resolution to their differences. John F. Lewman, founder of Lewman Law, APC, a Professional Corporation, is dedicated to helping his clients resolve their legal issues and disputes. He is committed to finding answers and solutions to your legal concerns. 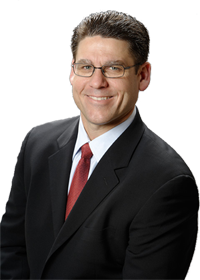 John acquired his legal education from McGeorge School of Law, in Sacramento, California, both graduating and passing the bar in 1994. He completed his undergraduate work at UC Davis, where he received a BA in Economics. Before opening his own practice in 1998, John was employed as a Deputy District Attorney in Sacramento County. Upon leaving the District Attorney's office he joined a large insurance defense firm, providing him insight and experience into how the insurance companies and their lawyers work and interact. Lewman Law, APC, is conveniently located in Pleasanton at 5890 Stoneridge Drive and servicing the Tri-Valley area. We're centrally placed by both the 580 and 680 corridors, and to the Altamont Pass area.